When Jesus gave us the great command to love our neighbor, what models of church did he have in mind? Many multisite leaders feel strongly called to a local vision to love their neighbors well, be part of the restoration of a community, attract those who need relationship, and be “incarnational” in reaching their city or region. Generational shifts in the way Christians live out their faith underscore the relevance of this vision, and multisites and church plants are uniquely suited to meet some of these needs. 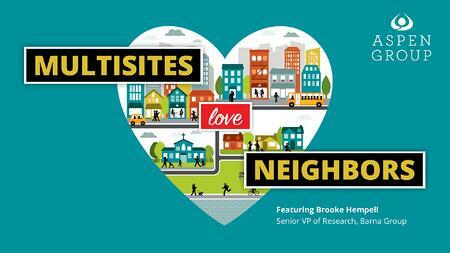 In this video, Brooke Hempell, VP of Research for Barna Group, connects some of the findings and best practices uncovered in the More Than Multisite study with other recent Barna research to give leaders a clear picture of how multisite churches can love their neighbors well.